Switzerland's hiking season is far from over once summer temperatures start to level off. 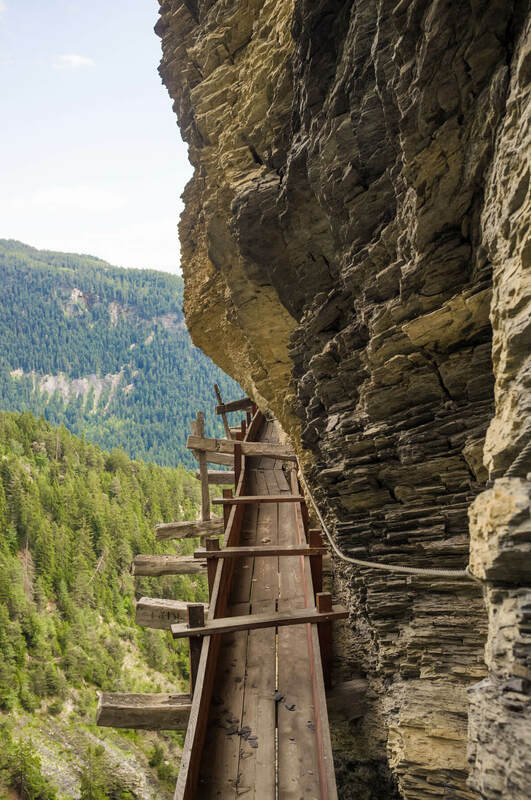 For hikers with an appetite for Swiss history yet without a fear of heights, we have the perfect suggestion: the historic Suonen irrigation trails in the southern region of Valais. Home of the largest wine region in Switzerland, the Valais offers endless vineyards to choose from. 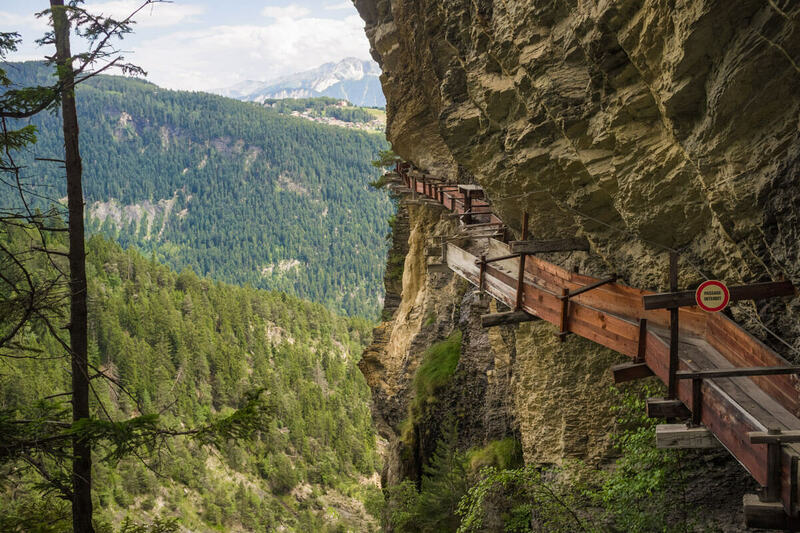 It should come to no surprise that hikes in the hillsides of Valais are popular among tourists and locals alike. Ranging from family friendly routes to bewildering cliffside trails, here one can find numerous trails following the Suonen or Bisses, the historic irrigation channels of the valley. What are the Suonen water trails of Valais all about? 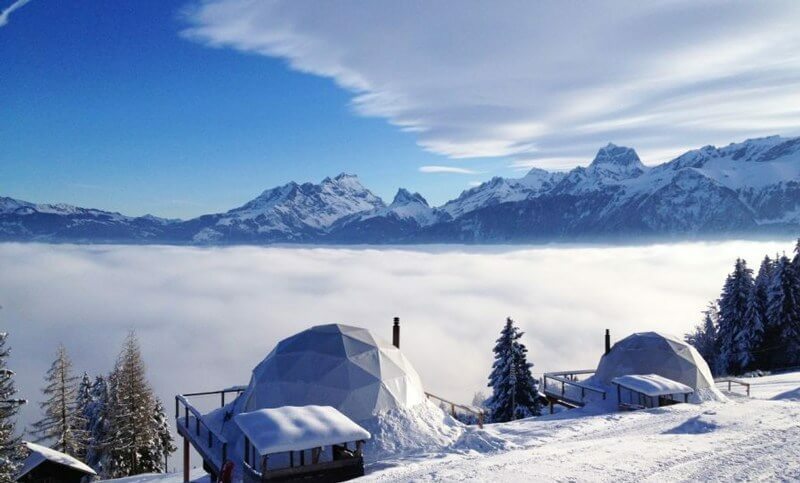 A couple of factors make up the climate of the Valais. Firstly, it has a special geography. The Valais is dominated by the wide Rhône valley which in turn is surrounded by the majestic mountains of the Bernese Alps in the north and Valais Alps in the south. The Rhône valley is known to be the driest in Switzerland but simultaneously has the wettest mountains enclosing it. Because of this unique geography, the people of the Valais have developed an extraordinary means of guiding the water from the higher and wetter mountain regions to the lower and dryer vineyards and orchards. These constructions date back as early as the 12th century. These types of paths surely are for the brave ones only. The walkways are literally hanging off the walls of the cliffs! As in the picture above, hikers are guided by a mere rope along the edge of the planks. On the other hand, there are quite a few family friendly hikes following these irrigation channels. Among the less treacherous Valais irrigation hikes are those that have been dug into the ground, creating waterways and canals channeling the water from its source to agricultural land. Following these routes is not much different from following a small creek running through forests or vineyards. Today, a lot of these irrigation channels have been modernized, replaced or even extended, but many are still maintained and continue to be an important source of water for the valley. After all, the climate has not changed, the water sources have not moved, and the vineyards still need water. 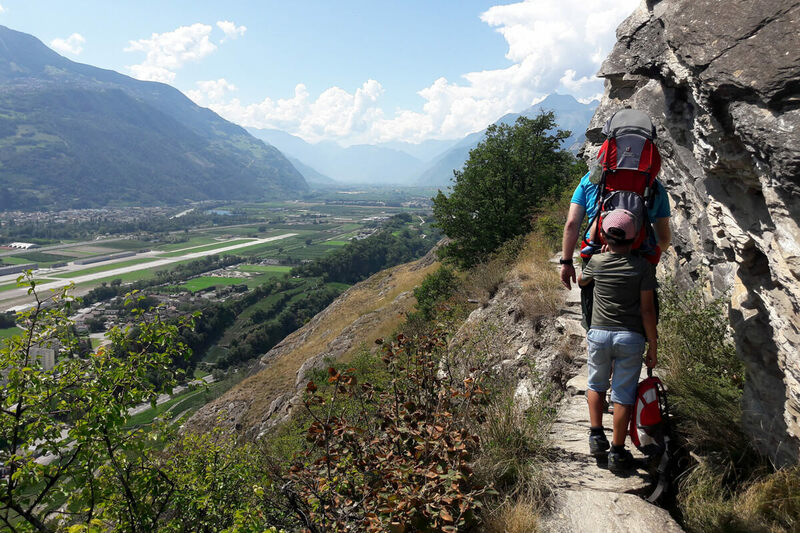 Here are some hiking routes along the Bisses/Suonen in Valais, as well as a description of the family hike at Bisse de Mont d'Orge. It is a 3 km loop that passes by the Lac de Mont d'Orge in the city of Sion. Cherry lives in a small town in Central Switzerland. While taking time off from being a lab rat working with stem cells, she enjoys the fresh air in the forests while hiking and biking. Being a mother of two boys, she is always out and about riding trains and taking road-trips through Switzerland.